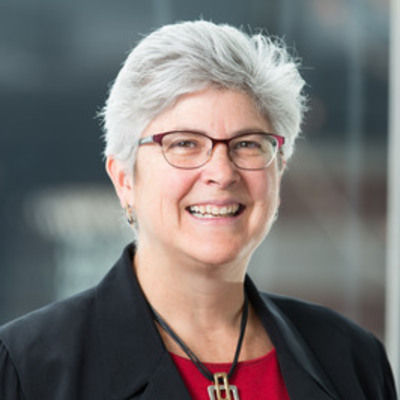 Jean Redfield is President & CEO at NextEnergy, a Detroit non‐profit organization founded in 2002 whose mission is to accelerate advanced energy technologies, businesses, and industries. Redfield previously served as the company’s Vice President, Public Policy Programs, leading public‐sector initiatives, a position she held since 2010, following a fifteen‐month consulting assignment for NextEnergy. Redfield’s experience includes multiple leadership roles at DTE Energy, where she served from 1994 to 2001, as well as consulting roles at McKinsey and Company from 1988 to 1994. Her work has primarily been setting strategy, leading major change initiatives and supporting companies as they transform through major dislocations in their respective industries. She has worked in various industries (investment banking, chemicals, aerospace/defense, pharmaceutical and biotech start‐ups, and energy) in the United States, Europe, Brazil, India, and China. She has also served as co‐owner and CFO of Fordsell Machine Products, a precision machine products company, from 1994 to the present. Redfield holds a B.A. in biology from Washington University, St. Louis, a B.S. in civil engineering from the University of Memphis, and an M.B.A. from the Wharton School, University of Pennsylvania.